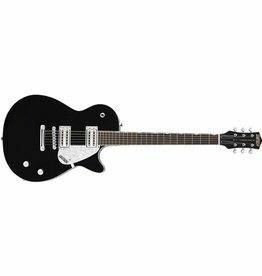 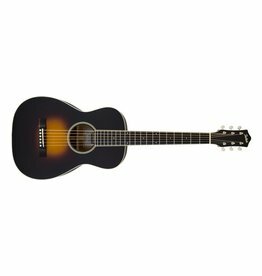 The G9500 is crafted with select guitar woods and is fully lined and braced for warm and pleasing tone. 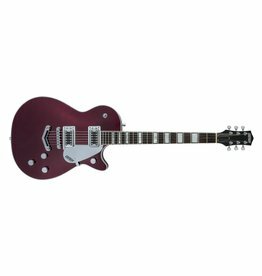 Jet Club models feature arched maple tops with chambered basswood bodies and bolt-on maple necks with rosewood fingerboards. The G9511 Style 1 Single-0 guitar delivers a pristine, yet intimate voice that is full and silky without the "boxy" or "tubby" overtones common in this body size. 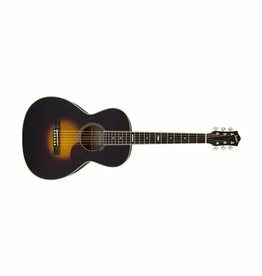 True in sound and craft, the G9521 Style 2 Triple-0 slothead guitar rings clear with a quick, articulate note response and a crisp bass that is never "muddy". 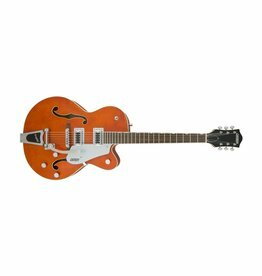 The exhilarating G2655 Streamliner Center Block Junior Double-Cut is designed for three simple things—high gain-friendly performance, slick, easy playability and spectacular style. 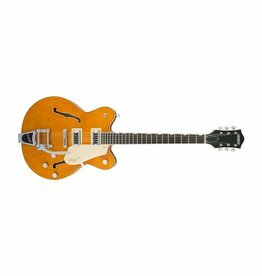 Big, bold and righteous, the G2420T Streamliner Hollow Body Single Cut with Bigsby is designed for the modern guitarist who yearns for something beyond the norm. 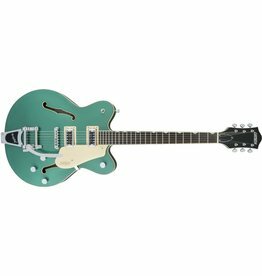 Designed for three simple things—high gain-friendly performance, slick, easy playability and spectacular style. 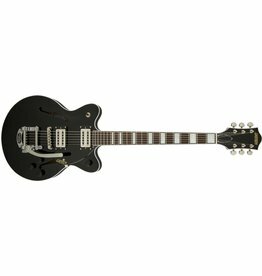 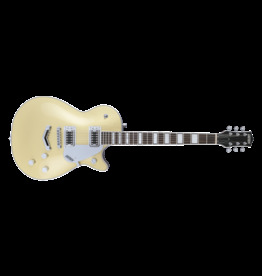 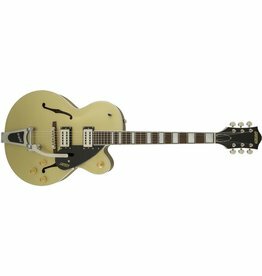 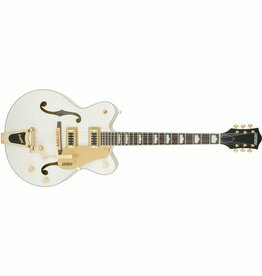 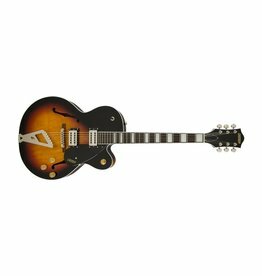 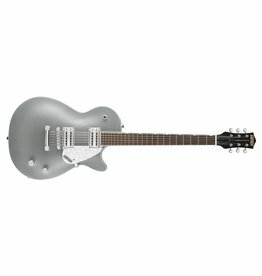 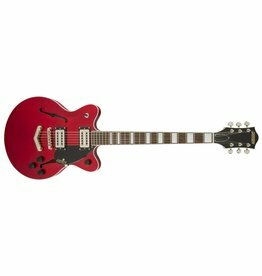 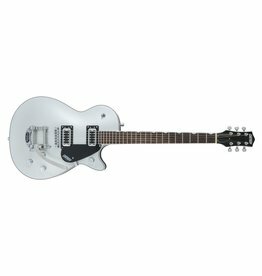 The all-new G5230T Electromatic Jet FT Single-Cut with Bigsby captures that essential Jet power and fidelity at an incredible price. 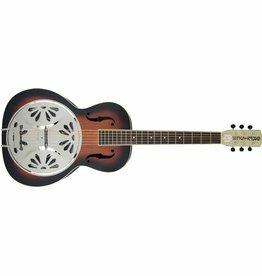 G9220 Bobtail Round-Neck A.E., Mahogany Body Spider Cone Resonator Guitar, Fishman Nashville Resonator Pickup, 2-Color Sunburst. 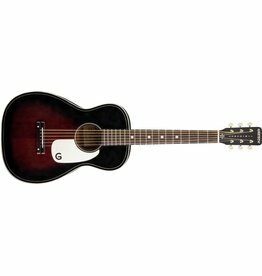 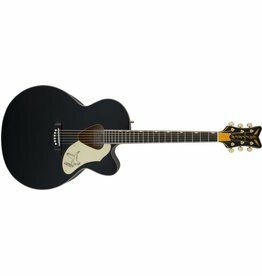 The G5022CWFE Rancher Falcon Jumbo gives you full-bodied jumbo tone with full-on Gretsch Falcon style. Alive and resonant, the G5420T has fully hollow build with a true Filter'Tron voice that explodes with huge punch and clear, strong presence.